What can I say about Lynette Young? 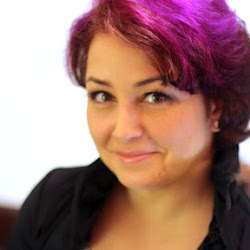 Simple – She's the queen of Google Plus – well, at least that's what I'm calling her. So, I pulled her aside at Blog World in New York and asked her to share her top 3 tips on how to best use Google+ to grow your blog audience and establish a community. She then proceeded to give three very simple tips that I believe can help us (as bloggers) really stand out on the relatively new social Network that's a definite force to be reckoned with. Watch, enjoy, and Take Action! Lynette, how are you doing today? LYNETTE: I'm doing very well. Thank you for having me. LESLIE: You are very much welcome. You've been in this technology stuff for a while. LESLIE: You've been to every Blog World? LYNETTE: I think I've been to every Blog World, I think so. LESLIE: And, even the one before Blog World. What was that called? Do you remember? LYNETTE: They change their name every year, but it was Podcast and Portable Media Expo, and it was really when everything was new new media, when podcasting came on the scene in like '04 or '05. LESLIE: Awesome. So, you've been around a while. But, you seem to specialize now more recently in Google+. Is that correct? LYNETTE: Yes. I love all the social channels… Don't get me wrong, but I really gravitated to Google+ because I like the tools that they offered, and then, the community that popped out around it is amazing. That's my platform of choice right now. LESLIE: Okay. I've been hearing a lot more about Google+. I hear people love it. I hear people hate it. You know how it gets with these social network sites. But, obviously, Google+ is a force that's here. It's powerful, and there's a lot that you can do with it. What I want you to do, my audience, a bunch of bloggers, and they're trying to grow their audience, grow their community, grow their blogs. What are the top three tips that you can give them to best use Google+? LYNETTE: Okay. The first tip that I would have to give is that once you get in, be sure that you fill out your profile completely. Make sure you're putting contents and keywords about the things that you blog about. Make sure you go in and tell Google the links back to your blogs because what you're gong to do with that is you're going to make yourself an author to Google , and it will identify your blog content with your profile on Google+ and give you a lot of credit in the search engines, and people are going to be able to find you a lot quicker. LESLIE: Okay, so as much relevant information as you can give. You want to make sure to do that because that's what Google thrives on — content, right? LESLIE: All right. That's tip number one, write that down. Tip number two? LYNETTE: Tip number two is once you're in Google+ platform, go out and find people. It's not fill the dreams. If you build it, they will not automatically come. You need to go out and use your search capabilities in Google+ because they're pretty good. It is Google after all. Go out and search for people that you know are the types of readers that normally come to your blog, or that you want to come to your blog. Comment on their topics, re-share their content. It doesn't even matter if you just have a handful of people that follow you. Re-share anyway. It's a good faith measure. Make sure that you comment on their content, as well because the community is very strong there once you find them and tap into them, and they will reward you and reciprocate by sharing your own content far and wide. LESLIE: Okay, tip number one, make sure… Don't just sign up for an account, or just go and do stuff. No. Fill out your profile information. Tip number two, search for people that you would want to be in your audience, interact with them, and share their stuff. Tip number three… go! It does two things. It helps the people that are within Google+ find your content and read it. That's exactly relevant to you, and it tells the search engines that you have a lot of interesting things to say, and they'll reward you, as well. LESLIE: I like it, I like it a lot. I want to be using more of Google+. I use Facebook. I use Twitter. I have a Google+ account. I don't even know if I filled out all of my profile information, but now that I have these tips, I can go away, and I can implement them, and help to grow my community using Google+. So, if someone wants to find out more about you, what you're doing, and all that stuff, where should they go? LYNETTE: Well, if you Google me, and google Lynette Young, you'll find everything about me because I've told Google all about me already. But, if you hit LynetteYoung.com, you'll find information of me as well, and all my social sites. LESLIE: Awesome. Lynette, thank you so much for doing this. LYNETTE: Thank you very much, Leslie! LESLIE: So, this is Leslie Samuel from BecomeaBlogger.com, until next time, take care and God bless! I hear you James. I actually do prefer Google+ (in terms of the features). They have A LOT going for them. All in all, I think it’s the best platform. However, Facebook still has the masses. I’m actually hoping for Google+ to rise above. It still has a distance to go, but it does have the potential. Since this interview, I’ve gone through and filled out more of my profile to suit who I am and what I’m trying to do, but I too have much more to do there. And I’m soo used to Facebook that it makes it easier for me to spend more time there. Yep, I agree with a lot of James’ comments above. Thanks for a great interview with useful tips, Leslie. i joined Google+ pretty early on, but then sort of forgot about it, and neglected it. So this post has got me interested again and encouraged to spend more time on G+. Leslie … this site is a great resource and is consistently chock full of high quality Content. Having access to the Transcript is an added benefit. You’re an excellent teacher and I appreciate your upbeat and laser focus style of getting to the MEAT of each interview … your talk with Lynnette Young is a perfect example of this. Shalom!